There are eight refuges operating on Olympus which cover the needs of visitors, hikers, walkers, climbers and mountaineers. 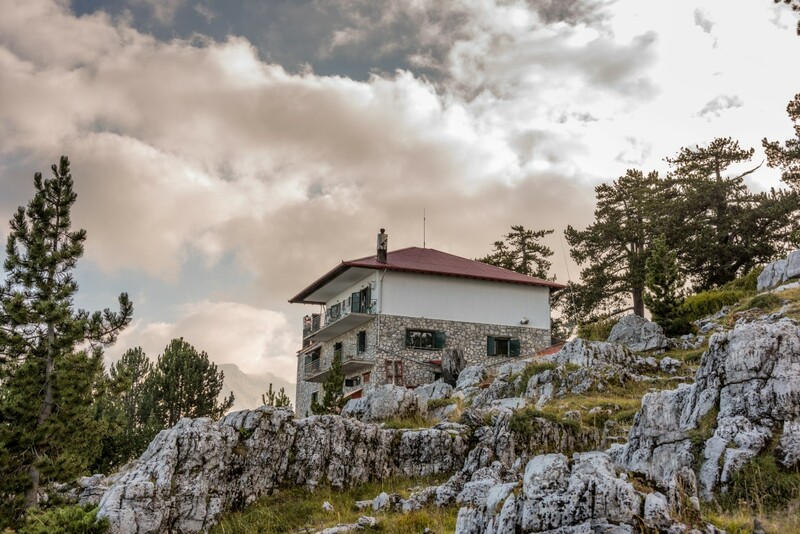 Additionally there are a further six refuges at pivotal points along the main routes to the peaks of Mount Olympus which are called emergency refuges and are specifically provided to cater for visitors in times of need. 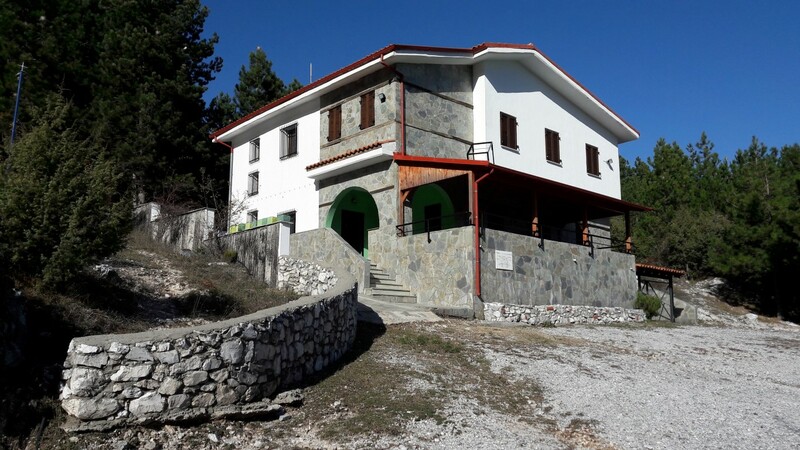 It is located at an altitude of 2.040 m, in the area of “Balkoni”, Olympus. It can accomodate 110 people and has a restaurant. 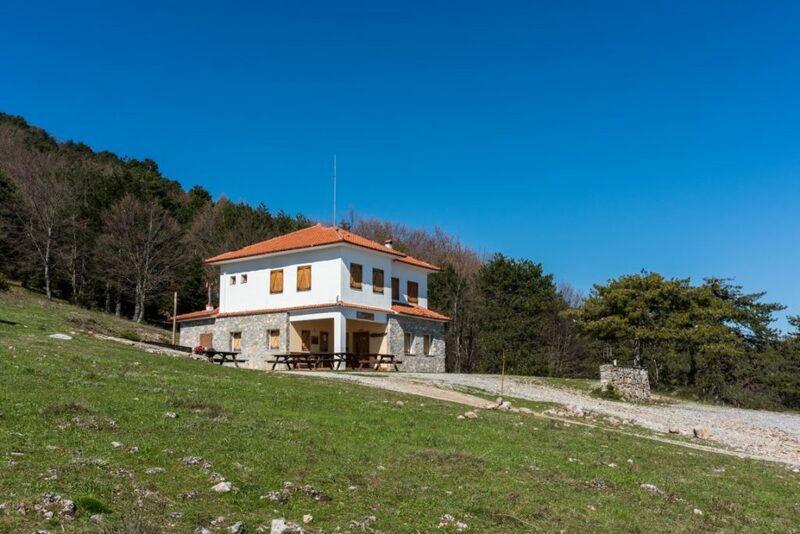 It is the highest refuge in Greece at an altitude of 2.640 m, located next to “Profitis Ilias” peak. It can accomodate 90 people and has a restaurant. It is located at an altitude of 2.640 m, at the edge of the Muses Plateau. It can accommodate 17 people and has a restaurant. 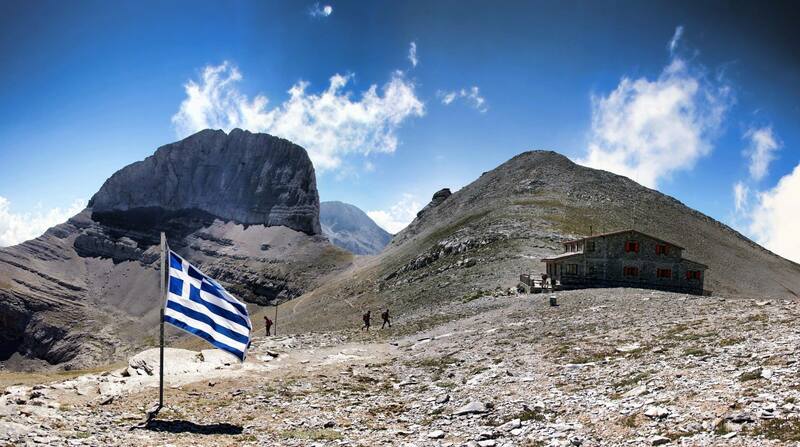 It is located at an altitude of 1.013 m on the northern side of Mount Olympus. It can accommodate 18 people. It can be accessed via the forest road (gravel), beginning from Agios Konstantinos. It is located at an altitude of 1.005 m on the northern side of Mount Olympus. It can accommodate 20 people and has a restaurant. 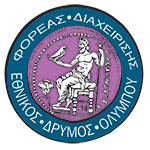 It can be accessed via the forest road (gravel), beginning from Agia Triada Vrontou. 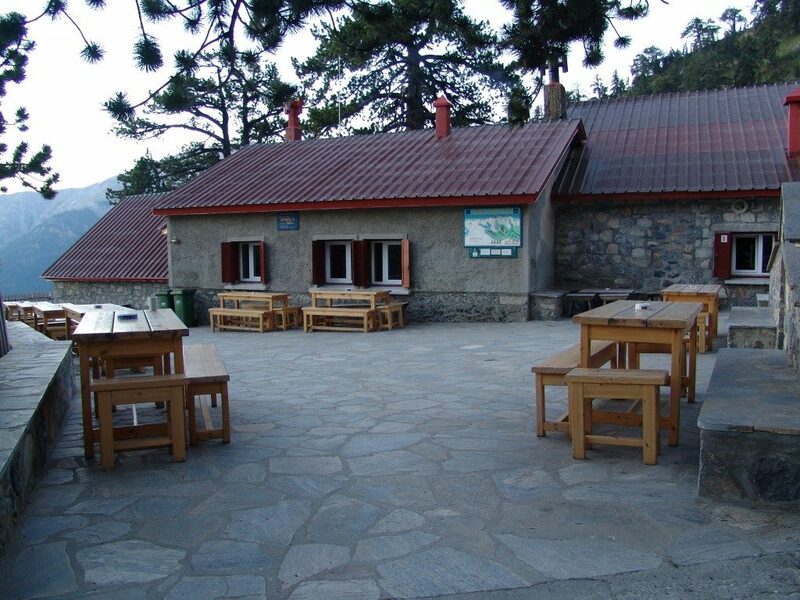 It is located at an altitude of 930 m in the area of “Stavros”, Olympus. It can accommodate 30 people and has a restaurant. 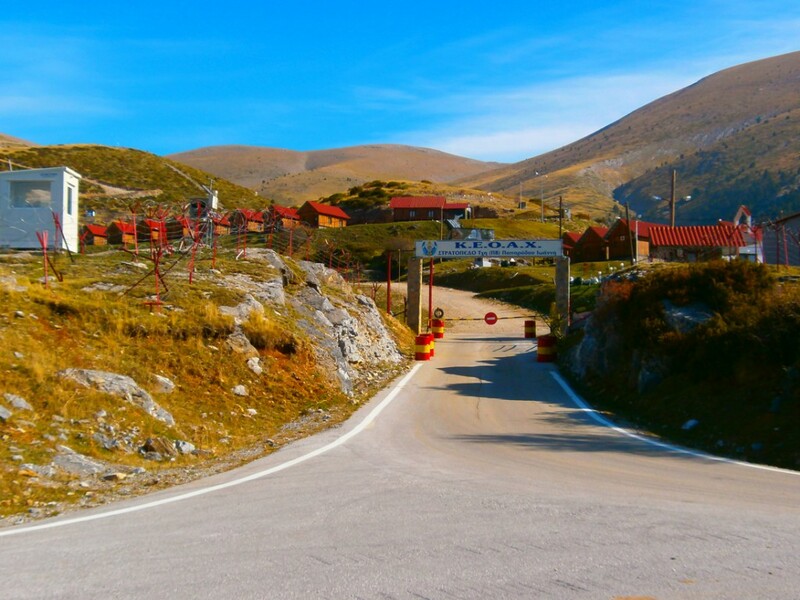 It can be accessed via the forest road (asphalt), beginning from Litochoro or the provincial road Litochoro – Dion. It is located at an altitude of 1.925 m in the area of “Petsostrouga”, Olympus. It can accomodate 74 people and has a restaurant. 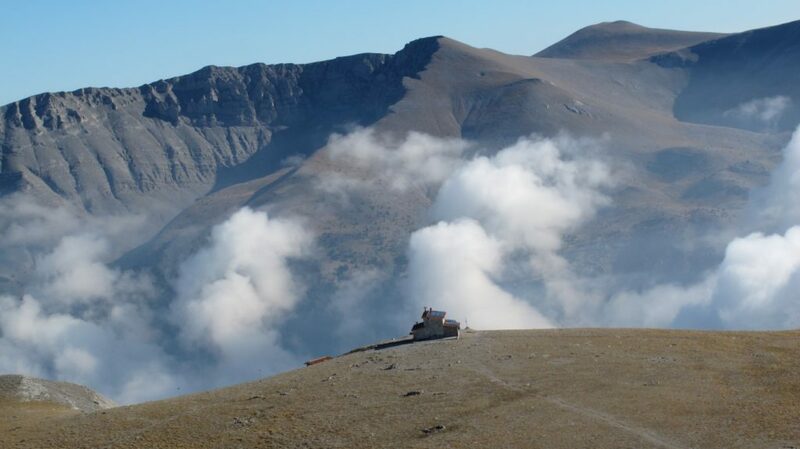 It is located at an altitude of 1.805 m, on the south side of Mount Olympus above Mavratza Gorge. It can accomodate 30 people and has a restaurant. 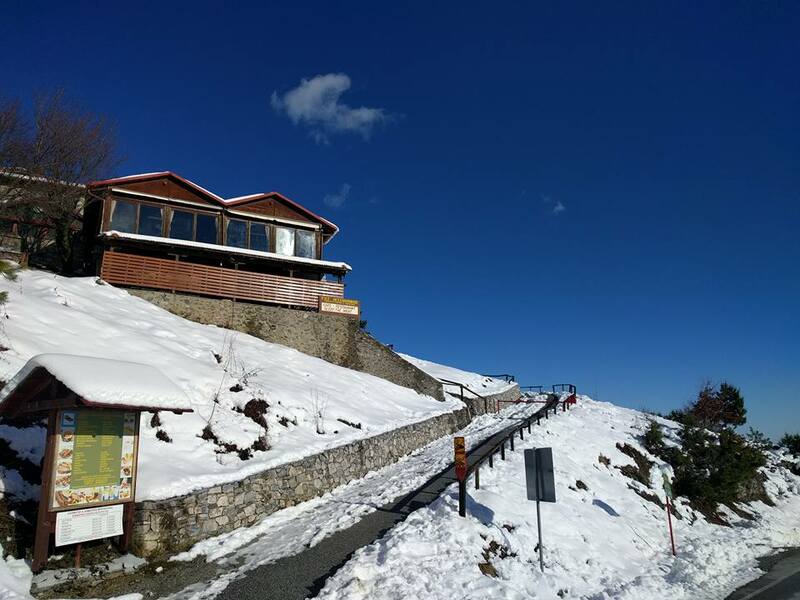 You can entry the facilities with police identity and due to its location on military land (Military Alpine Combat and Ski Training Centre), in order to overnight, a special permit from the Special Forces Directorate is required. These refuges are small buildings which can be used in cases of emergency. They offer basic shelter in the event of extreme weather conditions. The capacity of the refuges in visitor numbers is purely indicative.